Unbeatable fees: 2% of the cost per paid ticket sold in the Open version, and 3% in the PRO version. Maximum fee limit of € 10 / £ / $ for the Open plan and 12 € / £ / $ for the PRO plan (it depends of the chosen currency). Our fees do not include Paypal or Stripe fees, and do not include VAT. Use PayPal or Stripe to cash in your sales. The collection is immediate, together with the payment of the ticket. You will not have to wait until the end of the month to get your money, and with our simulator you know exactly how much you will earn, including fees. Try it now. I have an account Open Pro and I sell tickets in EUR € GBP £ USD $ AUD A$ CAD CA$ CZK Kč DKK kr HKD HK$ JPY ¥ MXN Mex$ NOK kr SEK kr SGD S$ . I want to sell tickets which cost each. 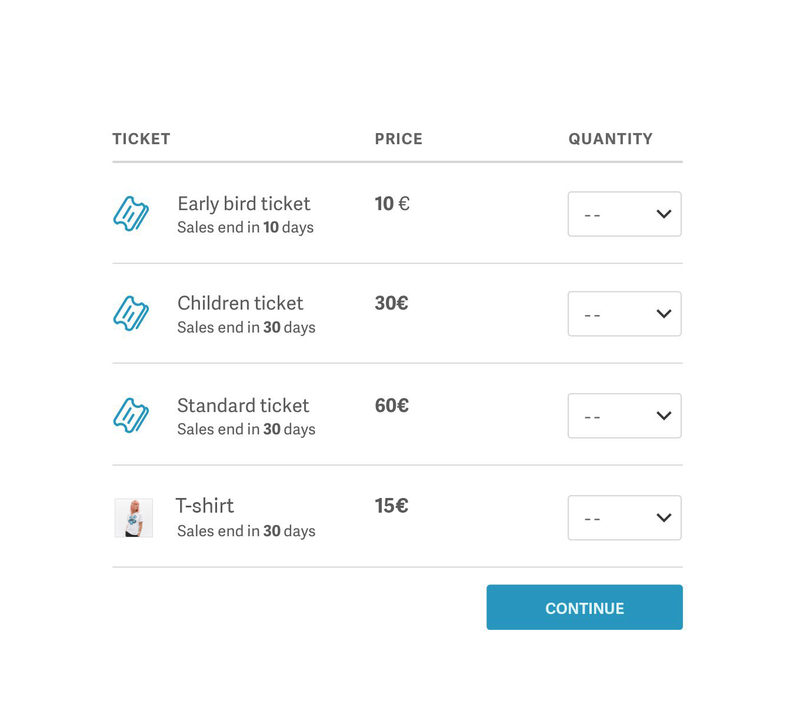 Free, paid or for merchandising: with Metooo you can add any type of ticket to your event, even combining them. Choose the start and end dates of sale, the conditions of purchase per guest, and if you want you can associate a questionnaire or a data collection form to the ticket, and also you can create and attach the customized badge for your event. Finally, get a quick and secure QR code check in of the ticket with the free Metooo Event Plan app for iOS and Android. You can easily add the Metooo ticket even on your website, your blog, or the channels of your partners and sponsors, to increase the promotion and push ticket sales. Build in a few clicks a personalized data collection form, add it to the ticket, and get the data of the guests already sorted and ready for download and an external management. If you want, the attendees will automatically be added to a new contact list, ideal for re-marketing activities. AWe have developed special features, dedicated to organizers of professional events: a service for creating and managing sales invoices to participants, a system for the selective management of orders and requests for participation, and a easy but powerful tool for creating and customizing the official badge of the event. Discover them in Metooo PRO.